The non-pyramidal composition combines red fruits with Italian lemon, Indian and sambac jasmine, rose absolute, underpinned by notes of patchouli, vanilla, amber, sandalwood and lavender honey. 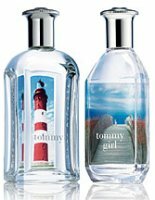 Embarrassing admission: I like Tommy Girl. I sometimes sneak into my daughter's room for a guilty sniff. How do you think that Loewe is pronounced? I' m reading it as 'Quizzes, quizzes, quizzes', but there has to be some kind of Spanish pronunciation involving a lot of lisping and coughing up hairballs? It is more like key-zas, with the accent on the second syllable. I like one of the Tommys, and now I can't remember if it is Tommy Girl. But it probably is, right? Thank you. A lot of spitting and dribbling…for me. I'm never sure when the 'z' becomes a 'th'..or is it the 's'? Ah, I'm never sure either. It depends on where your Spanish teacher hails from. If you learn from someone from this side of the pond, you can hardly understand someone speaking Castilian Spanish. I just muddle though…the only language I come close to pronouncing correctly is English, unfortunately. And sometimes I mangle that too. a Castilian accented Spanish speaker. So many perfume lovers admire Loewe Quizas Quizas. 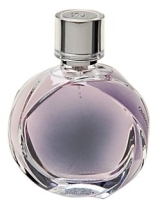 I havent worn it, but it smells UNLIKE any other perfume. It is stunning in a way. I have not tried it! It's hard to find Loewe here.